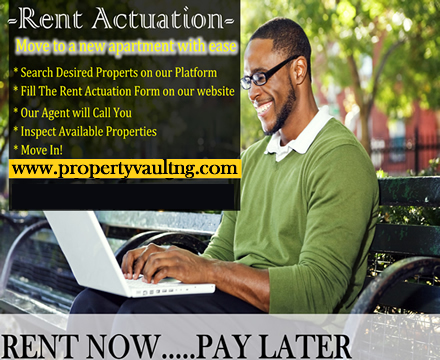 RENT ACTUATION is an innovative product specially created for home seekers who cannot afford their rent at the moment. The sole purpose of Rent Actuation is to help Lagos and Abuja based salary earners actualize their rent desires and obligation. This innovation is achievable under a working agreement between PropertyVault and Financial Partners. PropertyVault is an online real estate marketing platform with a potpourri of properties covering residential, commercial, industrial properties, warehouses, plots of land etc. 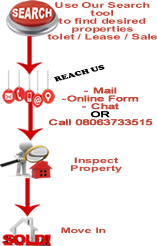 PropertyBank is readily available to provide property options from its barrage of properties to interested applicants. Fast access to Rent Loan. Timely delivery of properties without the long chain of quark agents.